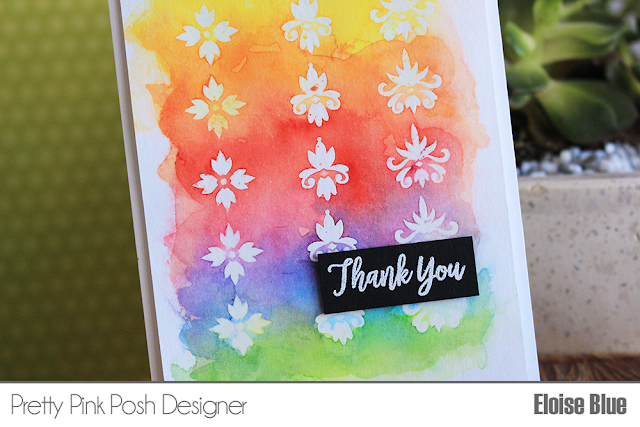 Hi friends, today I'm here to share three cards I made with the new Pretty Pink Posh and Simon Says Stamp Stamptemeber stamp set! It's called Damask Greetings and it's very different for Pretty Pink Posh, but I think it's super unique and people are gonna love it! 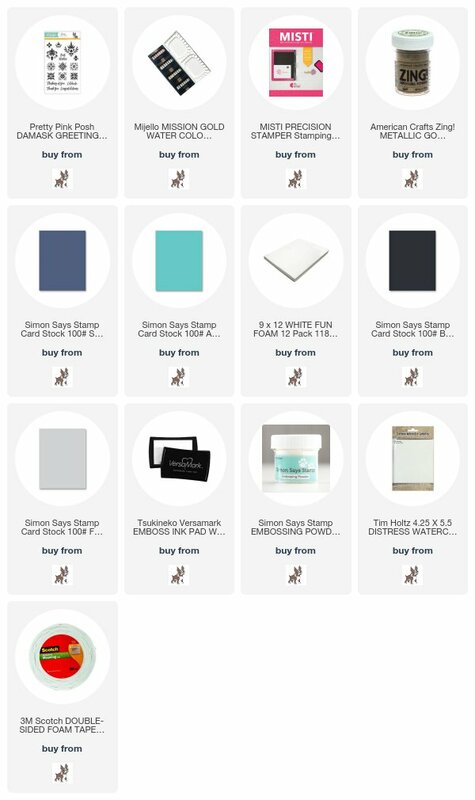 The stamp set is now available over at Simon Says Stamp but be aware, the same with all collaboration sets for Stamptember, there is a limited number of them. Below are three cards I made with the set! For this first card, I used a emboss resist technique and used my MISTI to repeatedly stamp the same line of designs several time, then water-coloured over the top to create a rainbow card. I white heat embossed the 'Thank You' sentiment onto a strip of black cardstock, adhered it down to the panel and then the panel onto a card base and that was the first card complete. For this second card, I went with a aqua to mint colour combo. I clear heat embossed some of the images in a diagonal line and then water-coloured over top to create the resist once again. I then white heat embossed the 'Thinking Of You' sentiment onto some grey cardstock and adhered it onto my card. I also used some Audrey Blue cardstock as a card base and adhered my panel on top. For this third card, I was completely inspired by a design I saw online. 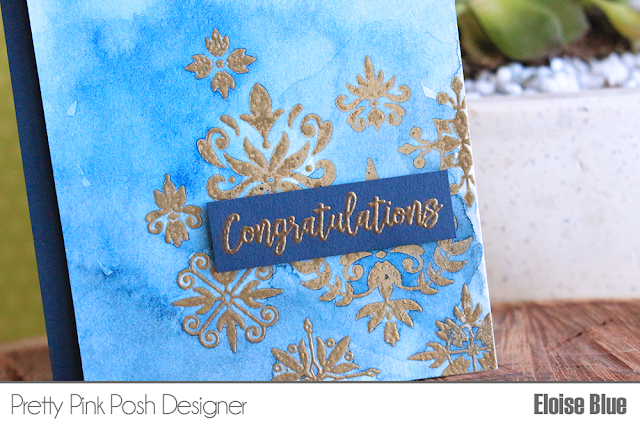 I wanted the navy blue background with gold embossing. I didn't have any navy blue cardstock - so I made my own with watercolours. I gold heat embossed the images, then water-coloured over top. I wish it turned out darker, but it's fine. I then gold heat embossed my sentiment onto a small strip of navy blue cardstock and adhered it to my panel. I then used a small left over strip of the same blue cardstock, adhered it to my card base and then adhered my panel over top. There is a video down below sharing the full details of each card. Thanks so much for stopping by today! I'll catch you all next time. A beautiful set and your cards are just wonderful. I like that they all have a different look even though you used all the same stamps. Versatility is key when buying stamps, IMHO! TFS! That's a great set !